Hotel Hibiscus Garden is located on Playa Lagartero. The beaches here are strongly affected by the tides. When it is low tide, the water recedes sometimes over 1 km from the shoreline. During high tide, the water is just 100 m from our doorstep. We have no strong current at our beach making it the perfect spot to stand up paddle board (SUP) or swim with the family. 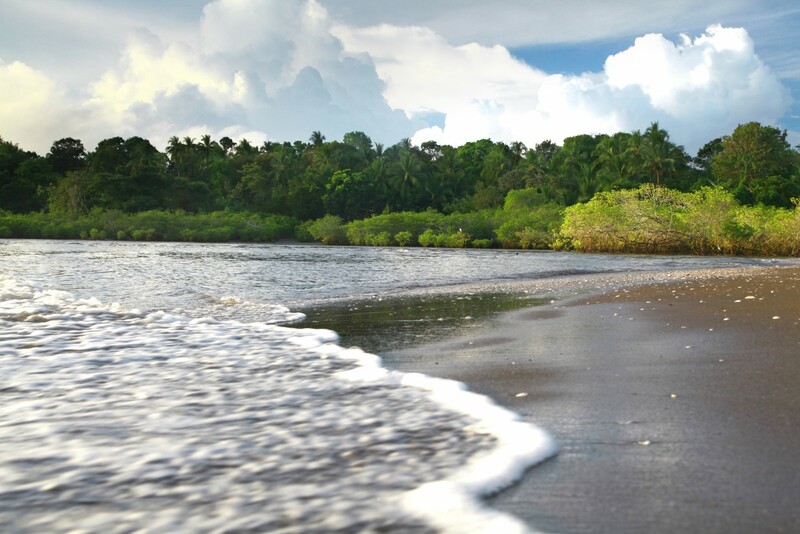 The main beach in Santa Catalina is Playa Estero. You must cross a small river to get to the beach. During low tide, there may be 1 foot of water, but during high tide there can be as much as 4 feet of water. Enjoy sunbathing, surfing and swimming! Nearly everyday there are great waves for surfing. Playa Estero is perfect for beginners, and if you are a more advanced surfer, the waves at La Punta are for you!